Signboards have been a staple in home decor for a couple years now but this season they are really hitting their peak. It doesn’t matter what store you go into – you’re pretty much guaranteed to find a rustic, funny or inspiring sign. 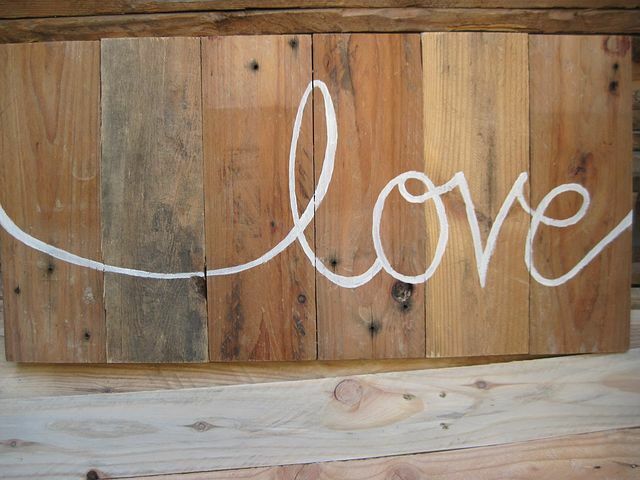 It’s not surprising, a wood sign is wonderful way to express your personality. Throw in the fact they’re easy to make and decorate with and you’ve landed on a trend that has staying power. There are infinite ways to personalize these ornaments for any room and any decor, give wood sign a quick google and thousands of ideas will appear before you. To help navigate the world of wood signs, we’ve created a list to guide your selection by room. When making a signboard, picking a theme first can be very helpful and selecting a sign for a specific room is a great place to start. 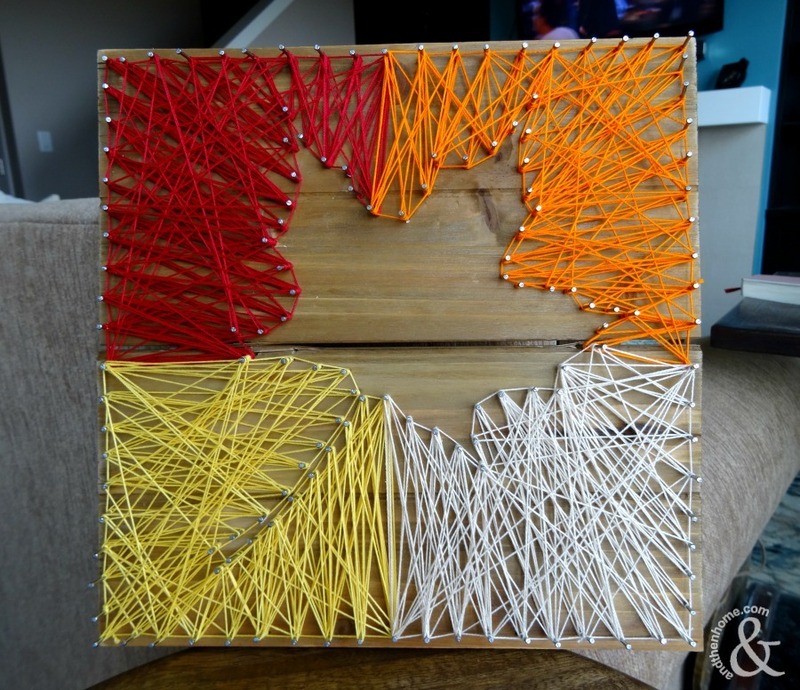 Be open to using unexpected materials in your sign like string, mason jars, flowers, and more. Of course for any message board paint, stencils and brushes will be almost mandatory as is, naturally, wood. Pallets make for great signs and sometimes you can salvage them from local retailers that may be willing to give them away for free. Whatever materials you choose, here’s a look at some great ideas for bringing this decor trend into your home. Customize your kitchen with a vintage, cooking related sign. Think of utensils, food and baking items for inspiration. 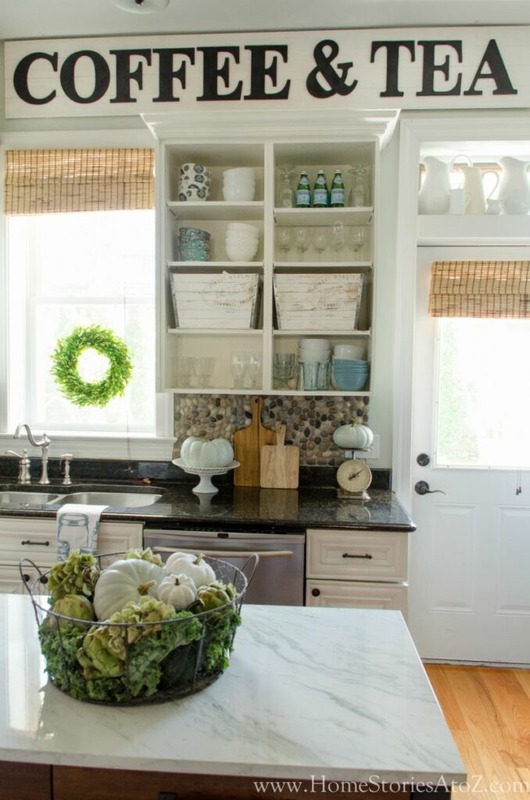 Paired items are ideal for kitchens as there are so many items that could work. Bread & Butter, Salt & Pepper, Pots & Pans just to name a few. Home Stories A to Z made a good choice with Coffee & Tea – follow their tutorial here. 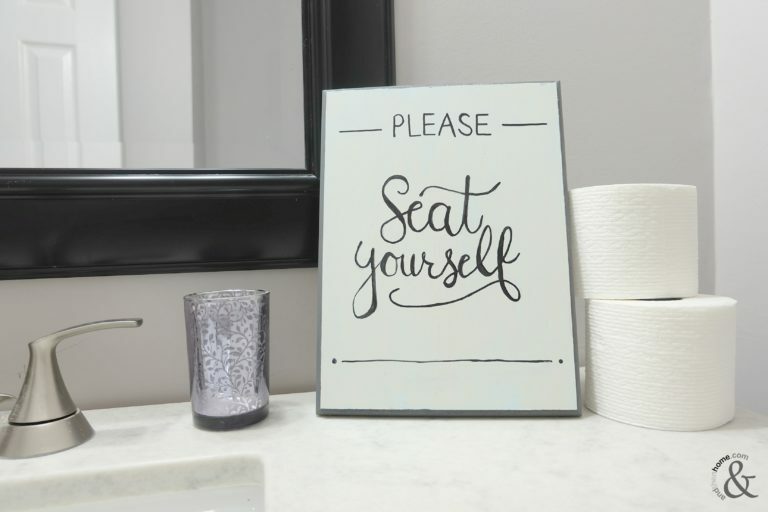 We didn’t have to look far for cheeky sign ideas for you bathroom. This one lives in Christine’s guest bath and I know I get a good chuckle every time I visit. Customize for your bathroom by changing up the colour. The den is a place for comfort, where everyone gathers and relaxes together. The perfect place to have a sign to remember to appreciate the little things in life. Inspirational saying and quotes are perfect choices for signs in living and family rooms. This charming sign was made by our friends at Grey Luster Girl. There’s not too much a welcome sign has to say but that doesn’t mean you can’t have some fun with it. 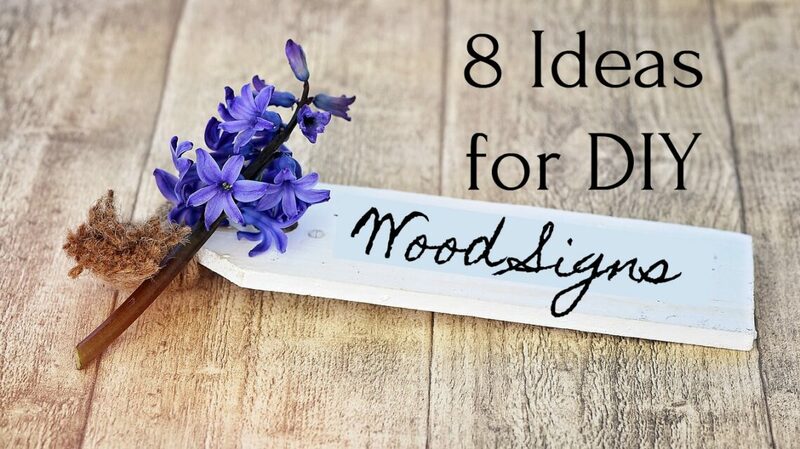 Try adding flowers or a monogram to your sign, or try greetings in slang or different languages. Bonjour, howdy, aloha, ahoy and our favourite hola! Make those staying for the night (or more) comfy and cozy with a sign just for them. 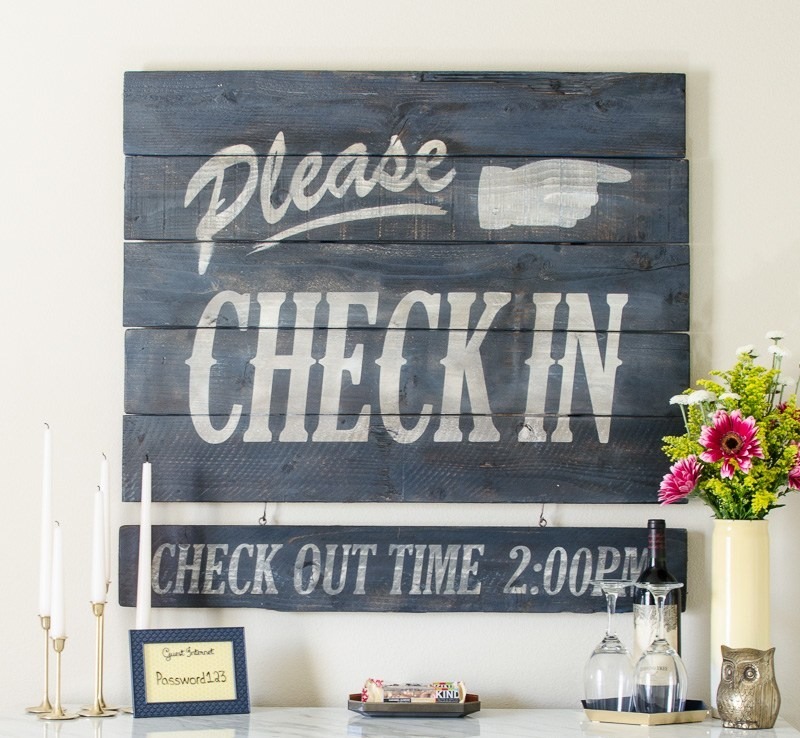 Whether its sweet or sassy, make your guests feel at home with a charming DIY signboard. Remodelaholic came up with this hilarious sign that will gently remind your guests when its time to go! More ideas coming your way….. 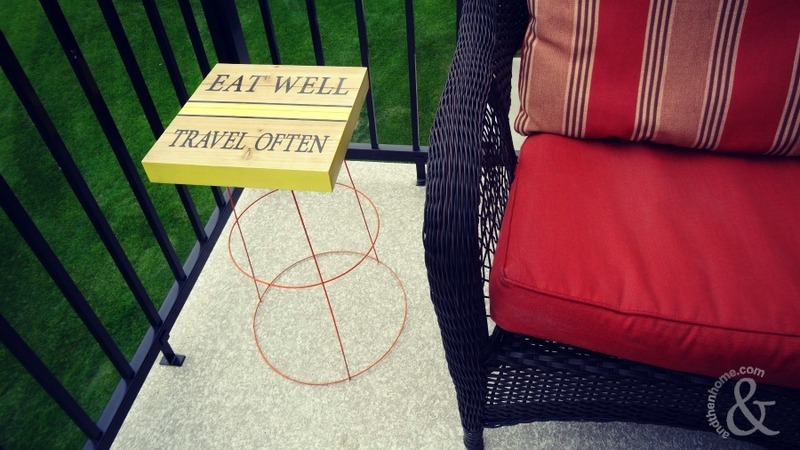 There are endless options for outdoors signs but we like this twist – it does double duty as a table! I made this sign table two summers ago and its still going strong. 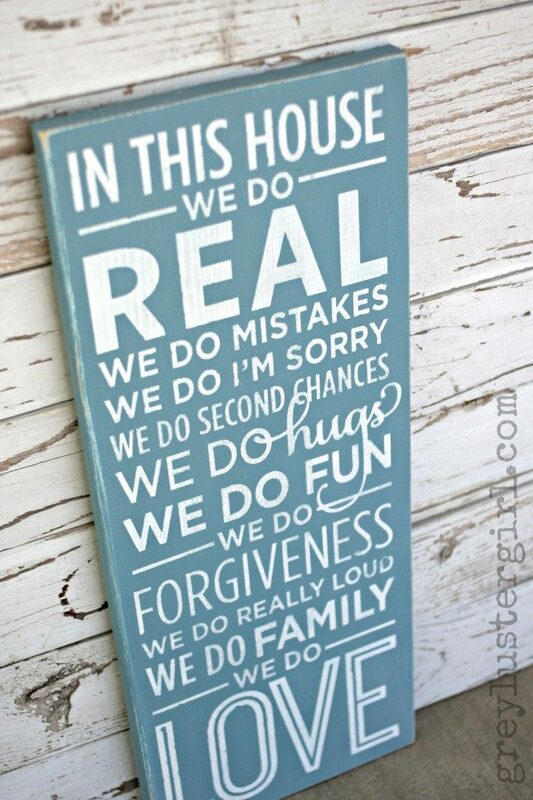 The message is perfect for our house, and that’s important when choosing a signboard. Make sure when you make one that it means something to you. 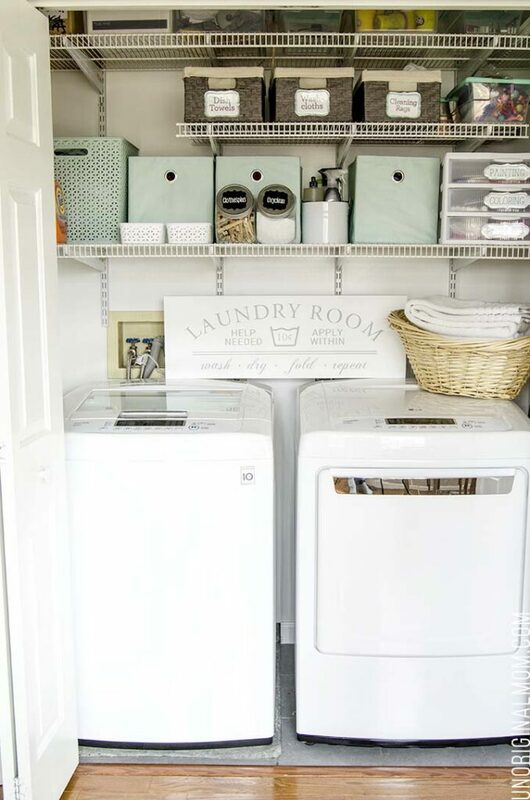 Often the most overlooked space in a house, there’s no reason a laundry room can’t be glamorous and hilarious. From advertising for lost socks (looking for a soul mate?) to wash, dry, fold, repeat there are lots of fun options. We like this wanted ad by Unoriginal Mom. To cap off our list is the sweetest place in the house, the perfect place for a romantic, intimate sign. Love quotes, wedding vows, hearts and flowers are all great choices for this room. 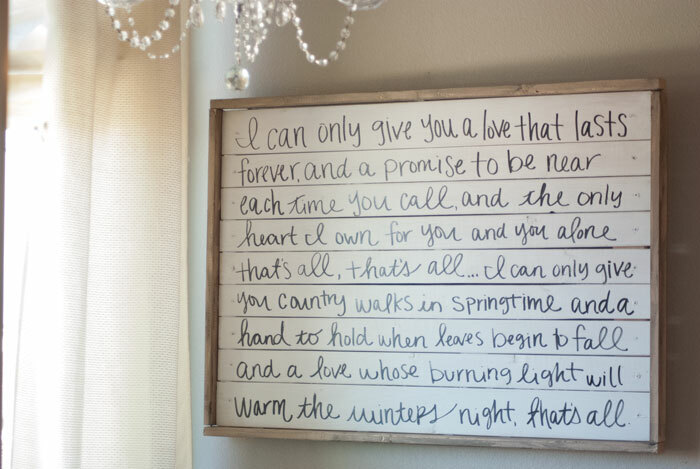 Vintage Romance Style has an inspired idea using song lyrics, let your partner know how you feel everyday with this sign. 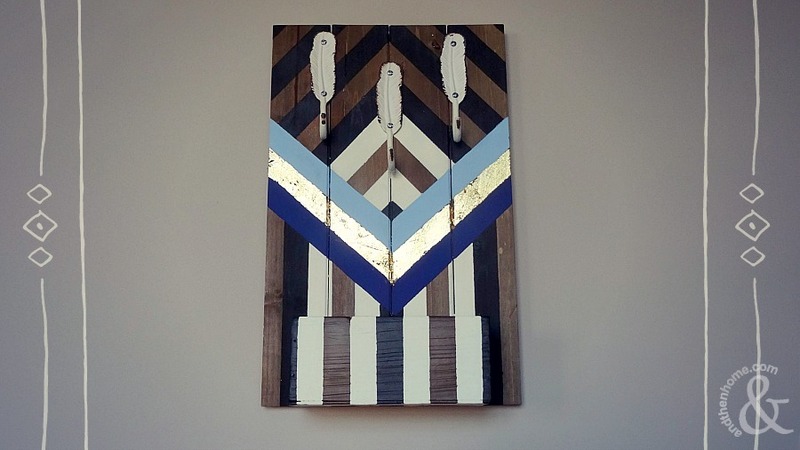 We’ve covered a lot of ideas here for DIY wood signs! Hopefully this list will be helpful is your quest for the perfect signboard for your home. There are more rooms we didn’t cover here so please share your ideas and projects with us. Happy crafting!